A well-made hairbrush can last you many years. 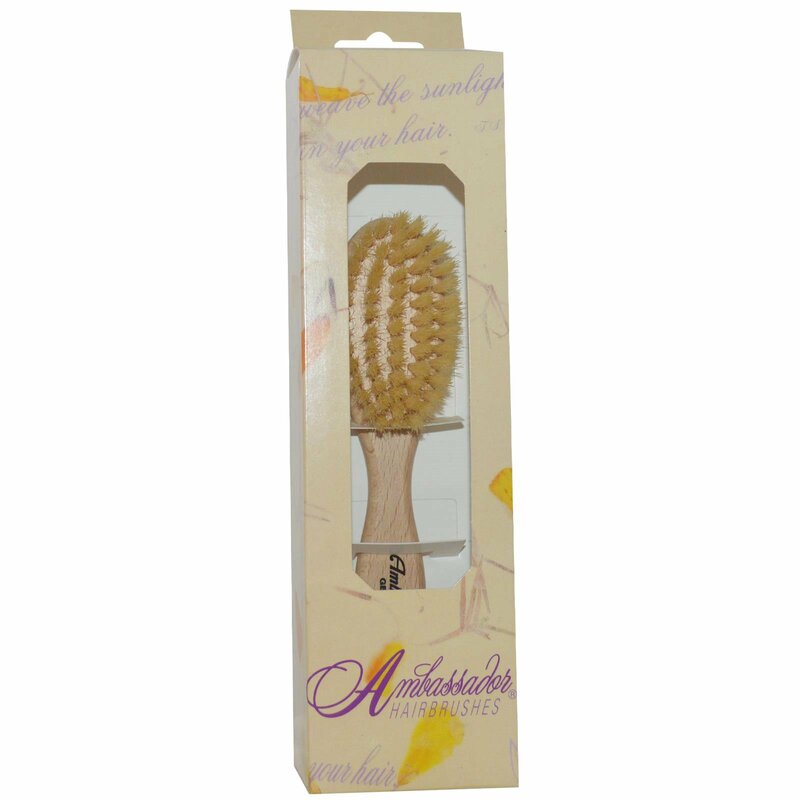 Hairbrushes with natural boar bristles have been preferred for centuries. Each of our Ambassador Hairbrushes has been carefully hand-crafted to provide years of enjoyable use. Ambassador Hairbrushes are made from non-endangered woods, beautifully durable and smooth to the touch. We offer many handle designs to comfortably fit any hand, we also have an extensive range of brush styles to fit many different needs, including hairstyling brushes, professional brushes, as well as wooden & plastic pin options on some styles to expand the range of available options. To care for your brush, we recommend washing in cool water with the shampoo you use on your hair. Because we use the finest woods we recommend that you do not soak your hairbrush. You can condition the natural boar bristles, and your hair, by using Nature's Alchemy essential oils of Rosemary or Lavender in the following manner: Place a small amount of Nature's Alchemy oil, just smaller than a dime, in the palm of your hand. 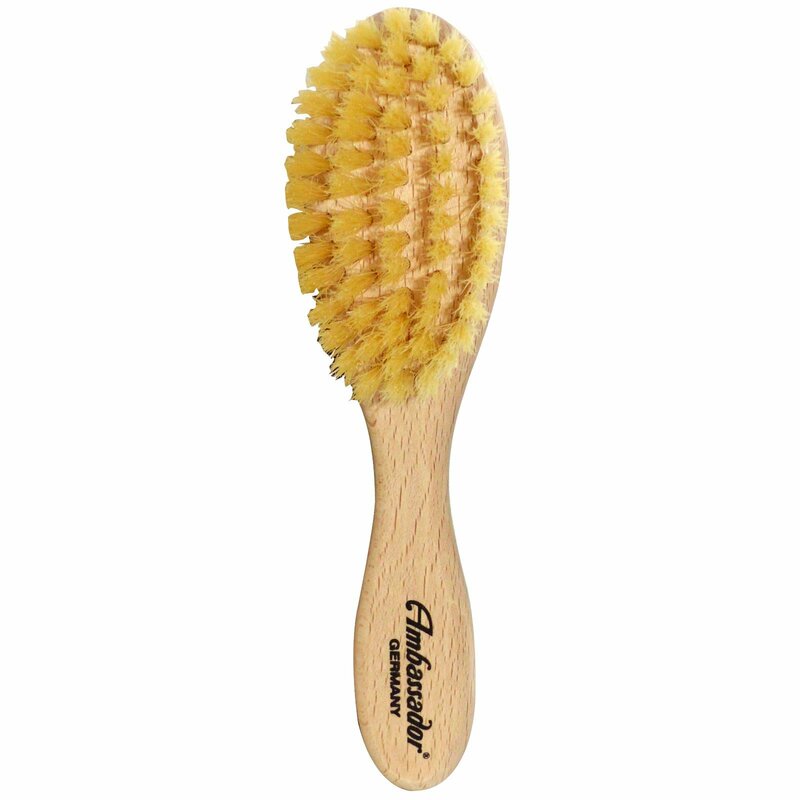 Rub your hairbrush bristles in your palm to apply the oil and brush thoroughly from your scalp to the hair ends. You will see the added shine and conditioning effects immediately. This weekly routine will also add a lovely fragrance to your hair.